Who are Goal Zero? A question as big as that requires an answer beyond an FAQ section, right? Find out all about Goal Zero, our history, mission and innovation on our About page. It’s must read material! What is your product? We provide portable solar power in the shape of rechargers, solar panels, lights and accessories. Our products are very simple to use and connect – just plug and play. You collect power from the sun, USB, wall or 12Vdc. You store this power in any of our Goal Zero rechargers. You then are ready to use this power anywhere at anytime with only your imagination as the limit. Our rechargers provide power for USB, 12Vdc and AC devices. How durable are Goal Zero products? How durable are Goal Zero products? We've designed our panels, rechargers, lights and accessories to be rugged and weather resistant. Our products are sent around the world to be tested in a variety of temperatures, elevation and humidity levels. We really wanted to say that our solar panels are water-proof, since we've seen the panels work while they are under water. But since we can't guarantee that outcome 100% off the time, we say they are weather-resistant. The panels do fine in the elements, from rainy season in Congo to snowstorms in Everest. The panels can be scratched, run over, left in the rain, and they'll still charge up your gear. Where can I buy Goal Zero products? Where can I buy Goal Zero products? 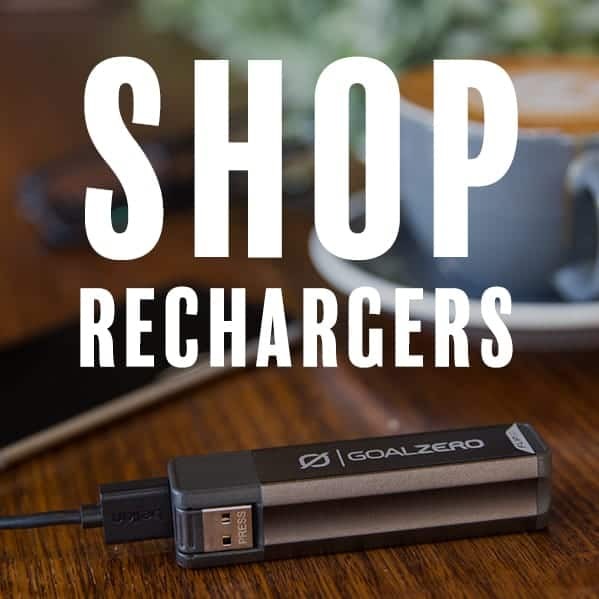 You can purchase all of the Goal Zero products 24/7 from www.goalzero.com.au. Our products are also available at numerous retailers. You can find a list of these retailers here. Do you make a solar power kit to meet any possible application? Do you make a solar power kit to meet any possible application? We have tried to keep our gear simple to use and able to power any sort of device, giving you the freedom to walk away from the power point. Such examples include smartphones, tablets, action cams, cameras, lights, laptops, TV's, fridges and lots more. You can find a list of some of the popular devices our products charge on our Learn page. Alternatively, if you are unsure as to whether we're able to provide a powering solution to match your needs, call us up or shoot off an enquiry on our Contact page and we'd be delighted to assist you. We aim to respond within one working day. I want to figure out if I can charge my device and for how long. I want to figure out if I can charge my device and for how long. Easy! Your first useful resource can be found on our Learn page, which provides approximate number of charges and running hours for a range of popular devices. Bear in mind though our products charge much much more than what's contained in these tables. If you want to work out exactly how long a battery can charge or run your device, you first need to work out the amount of watts your device uses. To do this, simply multiply the amps by the volts (amperes x volts = watts). This information is typically found on your device somewhere, though you may have to refer to the manual or look it up online. You then use the formula (Goal Zero recharger watts / device watts). For example, our Escape 150 recharger is capable of producing 150 watts of power. Our Light-A-Life lamp uses 3 watts of power. This means the Escape 150 can power this lamp for around 50 hours. What do the numbers mean in your product names, i.e. Nomad 7? What do the numbers mean in your product names, i.e. Nomad 7? For Goal Zero solar panels, the number means how many watts of power the solar panel is capable of producing in 1 hour of full sunlight. For example the Nomad 7 is capable of producing 7 watts of power in 1 hour of full sun light. For the Goal Zero rechargers, the number represents the amount of power the battery is capable of storing. For example the Yeti 1250 is capable of storing 1250 watts of power for use when you need it. Do your solar panels store any power? Do your solar panels store any power? No. Our solar panels are made to collect the power from the sun which you are then able to recharge your device directly (Nomad 7 or Nomad 13) or recharge a Goal Zero recharger. Can I charge a device while charging my battery? Can I charge a device while charging my battery? Absolutely. I have a product specific question, where can I find the answer? I have a product specific question, where can I find the answer? We’ve provided more detailed information on our product pages, including charge times, specifications, dimensions and compatible devices. If you still can’t find the answer you need, you can call 02 9679 8644 or submit an enquiry on our Contact page. We aim to respond within one working day. I did not find the answer to my question, how can I reach you? I did not find the answer to my question, how can I reach you? 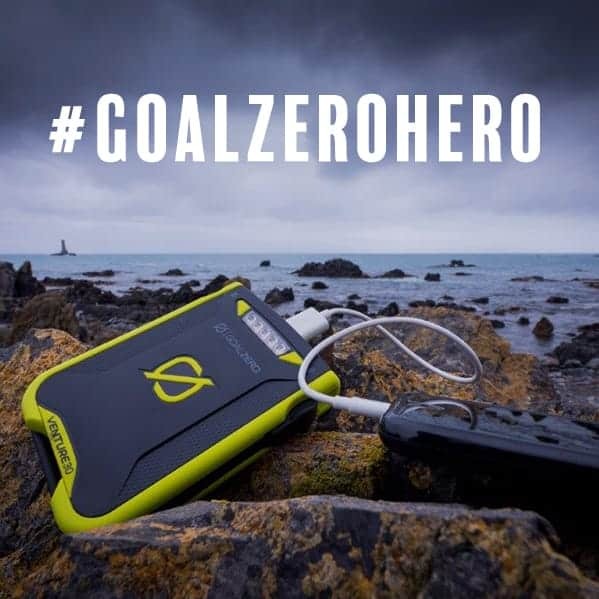 Please feel free to contact us on 02 9679 8644 or email support@goalzero.com.